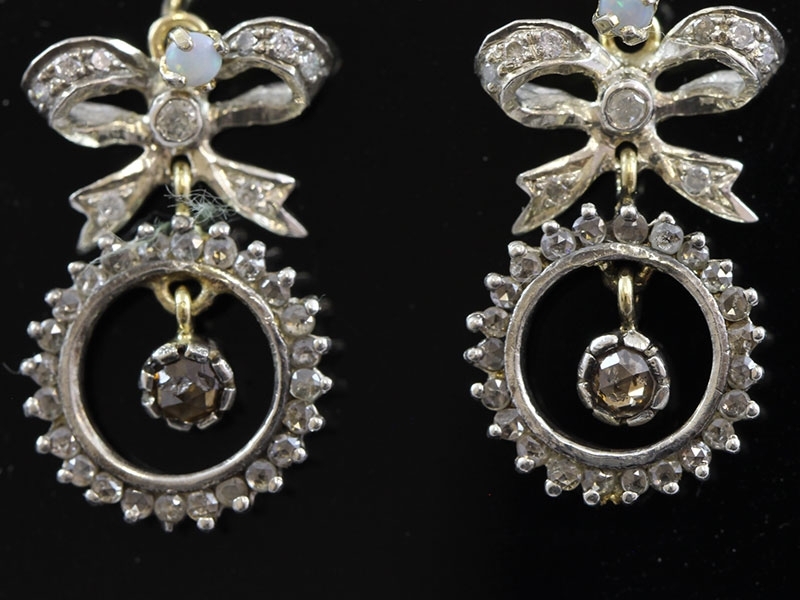 Artful and ultra-delicate hand craftsmanship distinguishes this delightful pair of early Victorian earrings. 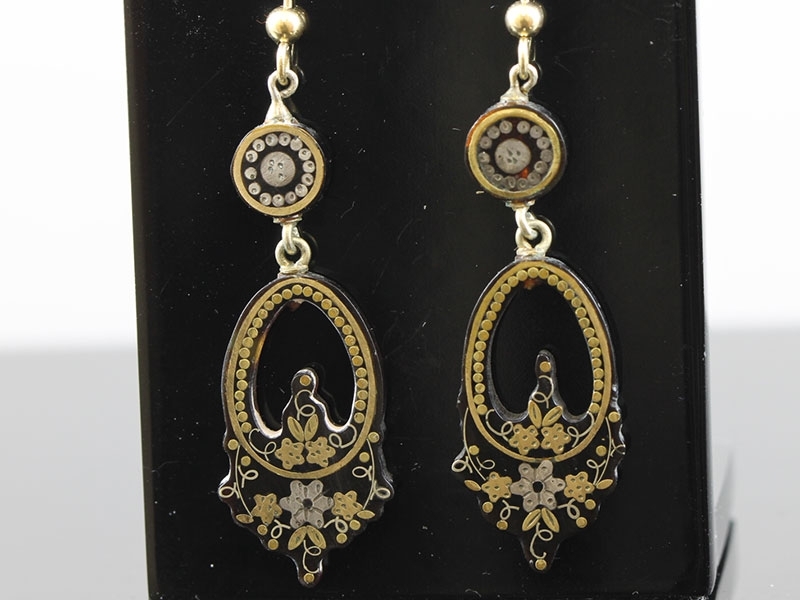 These early earrings are night and day, a rare find and treat. 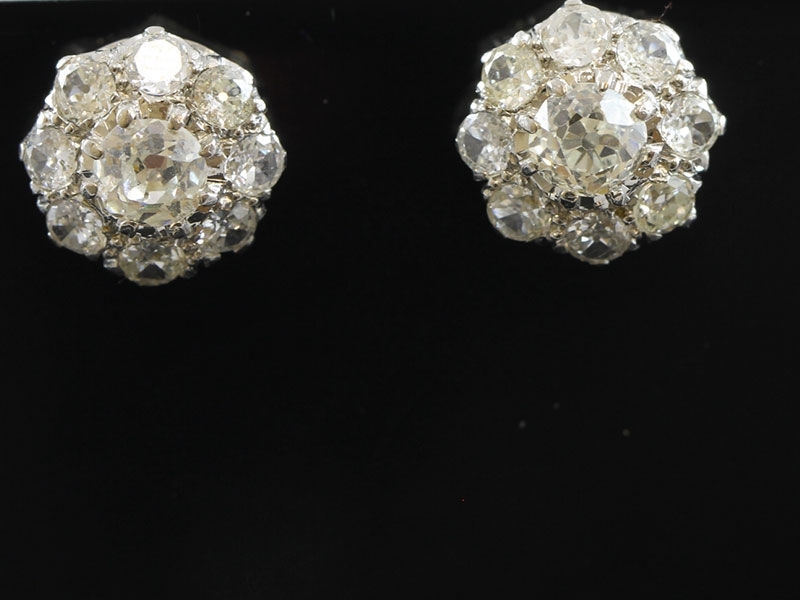 These adorable antique cluster earrings are set with old cut Diamonds, arranged in flower formation. 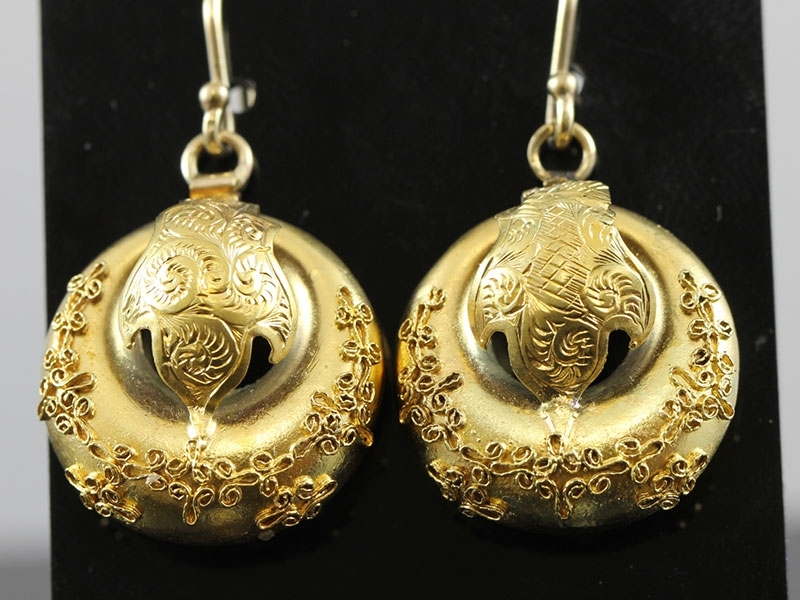 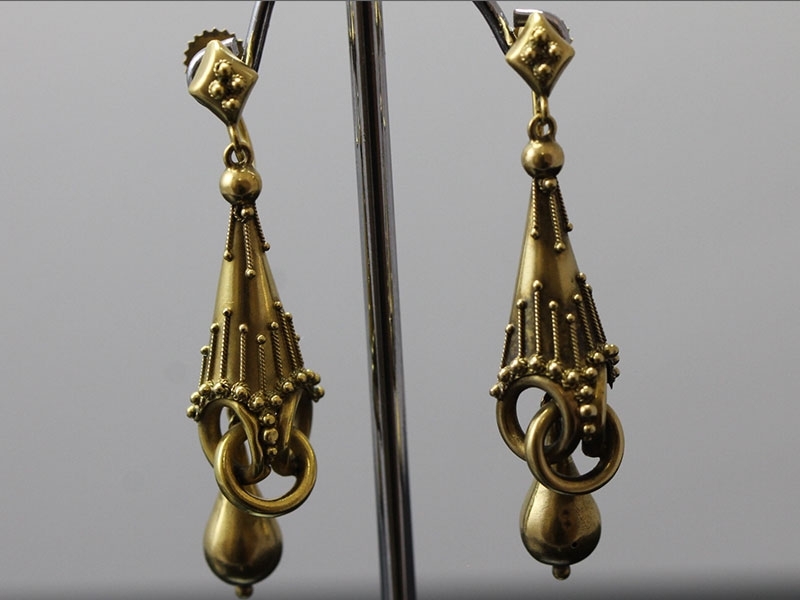 An extremely desirable and very rare to find pair of late Victorian early Edwardian Etruscan revival earrings in a elegant design.